Yes - it's that time of year again when we go on Market! 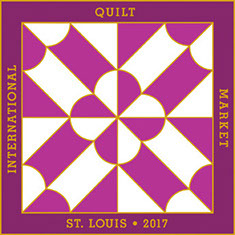 This time we are traveling to St. Louis, Missouri for our 2017 Spring Quilt Market. 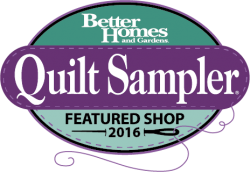 This is a trade show for quilt shop owners to see all the new and upcoming fabrics, books, patterns and notions. fabrics 6-10 months in advance of delivery! selection of fresh new fabrics and projects to keep you inspired! Follow us on Facebook during our trip to see all the beautiful booths and fantastic inspiration that we will see and want to share with you. We may even give you some sneak peeks at what we order for you! The shoppe will still be open in our absence for normal business hours. who will be holding down the fort for us!